Our goal is to connect people with the best local experts. We scored tree service professionals on more than 25 variables across five categories, and analysed the results to give you a hand-picked list of the best tree service professionals in Fort Collins, CO.
A.F.M. Tree Services, LLC is a locally-owned tree care specialist located in Fort Collins, Colorado. The professionals have nearly a decade of industry experience and share a commitment to providing professional and prompt services that are unparalleled by industry rivals. Services provided by A.F.M. Tree Services, LLC include tree removal and pruning, stump grinding, and general plant health care. Bio-Mechanics LLC is an expert arborist care and service provider located in Berthoud, Colorado that was founded with a goal to provide the most superior services at discounted rates. The team of arborists specializes in providing superior maintenance and tree care. Services provided by Bio-Mechanics LLC include pest treatments, tree trimming and removal, stump removal, planting recommendations, and shrub care and pruning. Bio-Mechanics LLC can be reached by phone and email for service information, inquiries, and requests. Climbers Tree Service is an expert tree care service provider located in Fort Collins, Colorado that has been certified by the International Society of Arboriculture. The business was founded with a commitment to providing superior services and to exceeding customer expectations. Services provided by Climbers Tree Service include tree removal, pruning, stump grinding, storm damage clean-up, shrub maintenance, and planting. Diamond Tree Company is a tree service provider located Fort Collins, Colorado that was fiestablished in 2003 by husband and wife team, Brett and Angie Thomas. They started the company with a commitment to providing the most efficient, reliable, and timely services at the most reasonable rates. The company provides a number of professional tree care services including tree removal, trimming and pruning, thinning, maintenance, felling, stump removal, brush removal, hedge trimming, cabling and bracing, view trimming, and much more. Foothills Tree Experts is located in Fort Collins, Colorado, and was founded by Kevin Walker. Kevin and his team of professional arborists have more than 50 years of combined experience and share a commitment to providing superior customer service at competitive rates. Services provided by Foothills Tree Experts include pruning, tree and stump removal, fertilization, tree cabling and bracing, and tree diagnosis. Foothills Tree Experts provides customers with free estimates and a level of quality that remains unmatched by local competitors. Iglesias 24/7 Tree Service is a family-owned and operated specialty tree service provider located in Loveland, Colorado that has more than 20 years of industry experience. The professional staff members have been expertly trained, and are qualified and equipped to handle trees of any size. Services provided by Iglesias 24/7 Tree Service include tree trimming, tree and stump removal, crown reduction, firewood sales and delivery, bush and shrub pruning, and free estimates. J&M Tree Care, LLC is a tree care specialist company located in Windsor, Colorado that strives to ensure complete customer satisfaction. 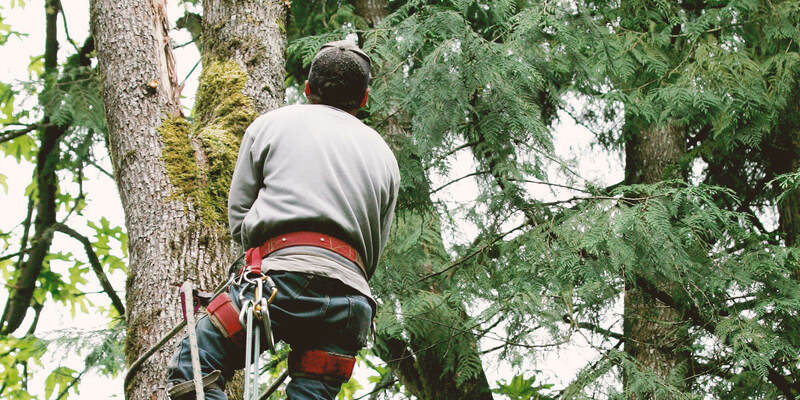 The team of certified arborists is dedicated to guaranteeing every job is completed correctly the first time for both residential and commercial customers. J&M Tree Care, LLC offers a number of professional services including tree removal, stump grinding, planting, trimming and pruning, cabling and bracing, and storm damage control and assessment. Jordan’s Tree Moving & Maintenance, INC. is a commercial and residential tree care service provider that is located in Fort Collins, Colorado and is completely insured. The company was established with a mission to solve their customers' landscaping needs and to serve the community with pride and integrity. Jordan's Tree Moving & Maintenance, INC. offers a number of professional services including tree moving, transplanting, tree removal, pruning, landscape renovation, and site preparation. Jordan’s Tree Moving & Maintenance, INC. features several useful resources on their website pertaining to pricing, when trees can be transplanted, and tree care tips. Kincaid Tree Surgery is a full-service tree care provider located in Fort Collins, Colorado that was first established in 1952. Since their founding, they have maintained a dedication to complete customer satisfaction and are proud to serve both residential and commercial customers. Services provided by Kincaid Tree Surgery include large and small pruning, tree removals, stump grinding, insect and disease control, and deep root fertilization. Limbs and Things Tree Service is a licensed, bonded, and insured tree care provider located in Loveland, Colorado that prides itself on being a family-owned and operated business. Every job is completed with a sense of safety and professionalism and is guaranteed to be done with an exceptional level of service. Limbs and Things Tree service provides a variety of services to the area including free estimates, tree and shrub removal, root removal, tree and shrub trimming, structural pruning, safety and hazard prevention, beetle removal, fire mitigation, and flood and storm clean-up services. Lumber Jack & Jill was founded in Fort Collins, Colorado. Established by certified arborists Mike and Emily in 2006, they aim to work closely with homeowners to ensure they provide the best possible tree care and maintenance services. Lumber Jack & Jill offers a variety of professional services such as pruning, thinning, removal, hedge management, stump grinding and removal, brush pile removal, maintenance, and much more. Lumber Jack & Jill features several positive reviews on their website which speak to how efficient and professional the service crew was, how great the landscaping looks when completed, and how highly customers would recommend them to anyone seeking tree care services. Mountview Tree Experts, LLC is a professional tree care service provider located in Fort Collins, Colorado that was founded by Jason Writz. Jason received his formal education from the University of Wisconsin-Stevens Point in Urban Forestry, and he won third place in the Tree Care Industry Association’s National Student Competition. Mountview Tree Experts, LLC offers several residential and commercial services including trimming, removal, organic lawn care, and much more. Rocky Mountain Tree Service was established in Loveland, Colorado with a mission to raise the quality standards in the industry and to provide the community with exceptional services. The team of professionals has more than two decades of industry experience and are proud to provide each customer with free estimates and recommendations. Rocky Mountain Tree Service specializes in tree removal and pruning, stump grinding and removal, injection pest management, deep root fertilization, Fall and Spring clean-up, and snow removal. Roy’s Tree Service & Bill’s Tree Surgery in Loveland offers a range of tree services, such as tree pruning and removal, for residential and commercial customers at competitive rates. Roy’s Tree Service & Bill’s Tree Surgery has been serving Loveland and surrounding communities for over five decades. The business is licensed and insured for the protection of its clients. Roy’s Tree Service & Bill’s Tree Surgery has top-quality equipment such as a tree climber, wood chipper, log loader, and a crane, allowing its agents to handle all kinds of jobs no matter how large or small. Free estimates are available for tree removal services. Tree Top INC. is a plant health management company located in Wellington, Colorado that is proud to be an active member of the Tree Care Industry Association. Services provided by Tree Top INC. include pruning, removal, stump grinding, watering, planting, fertilizing, and insect and diseases diagnosis. Tree Top INC. features several positive customer reviews on their website that are a testament to how satisfied customers are, how efficient the crew was, and how they are one of the area's most professional providers of tree care and maintenance. TreeWorks, LLC is a professional tree care service provider located in Fort Collins, Colorado that is licensed and certified by the International Society of Arboriculture. They offer a wide variety of services including tree pruning and removal, large-scale maintenance, hazard assessments, and 24-hour emergency services. Although TreeWorks, LLC is based in Fort Collins, they are proud to serve a large portion of the surrounding area including Windsor and Loveland. Wisdom Tree Care is a professional tree care service provider located in Fort Collins, Colorado that is locally-owned and boasts many years of industry experience. The team of arborists strives to ensure that each customer's needs are met and their expectations exceeded. Wisdom Tree Care offers a variety of services such as trimming, pruning, removal, stump grinding, and initial estimates. Wisdom Tree Service features several customer reviews on their website that give credit to their high levels of professionalism, how happy customers were after the job was completed, and how customers would highly recommend the company to anyone seeking tree care and maintenance.